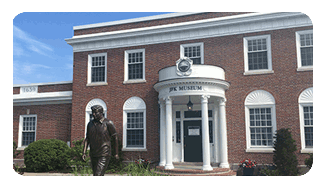 John F. Kennedy Hyannis Museum is a multimedia exhibit designed to open a window to the days JFK spent on Cape Cod. 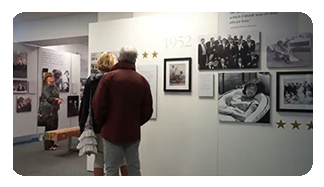 For 2018 the Museum is planning a major centennial exhibit, “Creating Camelot: The Kennedy Photography of Jacques Lowe,” The exhibit features intimate, behind-the-scenes images of John F. Kennedy, his wife, Jacqueline, and their children, Caroline and John, taken by Kennedy’s personal photographer. It will open in June. We also enjoyed over 74,000 visitors in 2017. The Museum is an important destination location for Cape Cod. 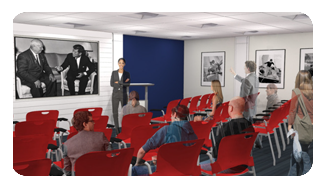 Greeting public and giving tours, research, designing and updating exhibits. 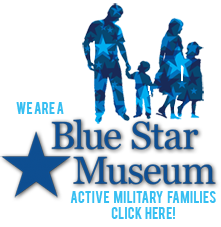 Assist in the care and maintenance of both the museum and its collections. Help out with special projects, which include donor related events some evenings. Attend and participate in staff meetings as needed. Operate standard office equipment and uses required software applications, including Microsoft Office. Interest in non-profit Museum/mission and vision. Ability to organize, prioritize and work independently. Ability to handle confidential material with discretion. Honest, reliable and a team player. Strong oral and written communication skills, with the ability to convey information professionally and effectively to diverse audiences. Excellent computer skills and able to learn new programs quickly. Please include the academic requirements for internships at the institution you are attending including the name and contact information for you intern advisor. Resume of your employment, volunteer, intern and academic experience.